Develop your natural abilities, explore careers, and use career evaluation tests to your advantage with these inspiring materials. What comes naturally to you? Pave your way to success with Don’t Waste Your Talent, a book designed to help you discover your unique strengths and how to make the most of them. Whether exploring careers, pursuing a new passion, or simply in need of a moment to slow down and reevaluate what’s important to you, this guide is the perfect place to facilitate the important discovery of YOU. While we each have our own, unique aspirations, studies show that the most successful people have one thing in common: they know where their talents lie and are guided by a clear and authentic personal vision. They’re honest with themselves, and develop an accurate and targeted picture of their talents. 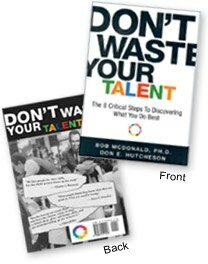 Don’t Waste Your Talent explores this journey; showing how focusing on one’s natural abilities can lead to the profound and lasting benefits of reduced stress, decreased burnout and greater satisfaction. So how does this book help you get there? Identifying your Eight Personal Vision Factors, Don’t Waste Your Talent combines your family history, values, skills, interests, goals, personality, developmental cycle, and most of all, your hard-wired talents, to shine light on the ideal pathway for contentment, fulfillment and a purpose-driven life. 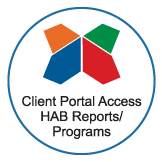 It’s an excellent companion piece for anyone who has taken or plans to take our career evaluation test, the Highlands Ability Battery. $15 plus shipping and handling. Purchase your copy by contacting The Highlands Company or from Amazon.